The Marriott Wardman Park Hotel is located at the corner of Connecticut Avenue and Woodley Road, N.W., in Washington, D.C. The hotel is located at the Woodley Park/Adams Morgan/National Zoo Red Line stop on the Metro, Washington, D.C.'s subway system. The Omni Shoreham is also located 1 block from the Woodley Park/Adams Morgan Red Line metro stop. 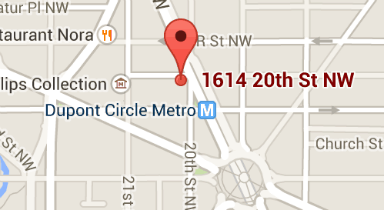 The Washington Hilton is four blocks from the Dupont Circle Metro Station on the Red Line. Exit at Q Street and walk four blocks north on Connecticut Avenue to the Hilton on your left hand side. Metro opens at 5:00 a.m. on weekdays and at 7:00 a.m. on weekends. Shuttle service will be provided between the Marriott Wardman Park and Washington Hilton hotels. Metro operates seven days a week. Rail stations open at 5:00 a.m. on weekdays and 7:00 a.m. on weekends. Metro closes at midnight (3:00 a.m. on Fridays and Saturdays). When traveling late at night, be sure to check the scheduled departure time for the last train. At many stations, the last train departs before midnight (3:00 a.m. on Fridays and Saturdays) so it is important that you allow enough time to enter the system and board the train. Last train departure times are posted at each station kiosk. At peak hours (in effect weekdays from 5:00 a.m. – 9:30 a.m. and 3:00 p.m. – 7:00 p.m., and weekends from midnight to closing), SmarTrip card fares for short trips less than 3 miles cost approximately $2.15. For distances longer than 3 miles, the maximum SmarTrip fare is $5.90. At non-peak hours, SmarTrip card fares for short trips less than 3 miles cost approximately $1.75. For distances longer than 3 miles, the maximum SmarTrip card fare at non-peak hours is $3.60. Reagan Washington National Airport (DCA) is located eight miles from the hotel; taxi fare is approximately $25 one way plus an additional $2.50 airport fee. To ride the Metro to the hotel, take the Yellow Line to Gallery Place/ Chinatown and change to the Red Line (heading toward Shady Grove). See Metro info above. Dulles International Airport (IAD) is about 27 miles from the hotel; taxi fare is approximately $65 each way (use metered cab). Thurgood Marshall Baltimore-Washington International Airport (BWI) is approximately 40 minutes in non-rush hour traffic from the hotel. Taxi fare from BWI is approximately $88. The MARC Train runs round trips between BWI to Union Station in Washington, D.C. Monday through Friday. Go to the Amtrak MARC shuttle stop on the lower level ground transportation area outside of baggage claim. Shuttles to the train stop depart every 15 minutes. One-way fare is $7; Visa and MasterCard are accepted. The trip to Union Station will take approximately 38 minutes. From Union Station you can take a taxi or the Metro Red Line to the Hotel – Woodley Park/ Adams Morgan/National Zoo Metro stop. Call (800) 325-7245 (Penn Line information) for additional information. Contact Amtrak at amtrak.com or (800) 872-7245 for information on weekend travel. SuperShuttle provides service at all three airports. The cost for a one-way trip is $14 from DCA, $29 from IAD, or $37 from BWI. Call (800) 258-3826 or visit supershuttle.com for online reservations. Union Station is four miles from the Hotel; taxi fare is approximately $13.00 in non-rush hour traffic. Union Station services both Amtrak and Metro (Washington, D.C.’s subway system). See Metro info above.